Accordingly, scientists observing such a phenomenon were inclined to disprove Einstein’s theory. However, such a thing happening to a star is relatively rare and is not close enough to Earth for humans to catch it, during its course of action. 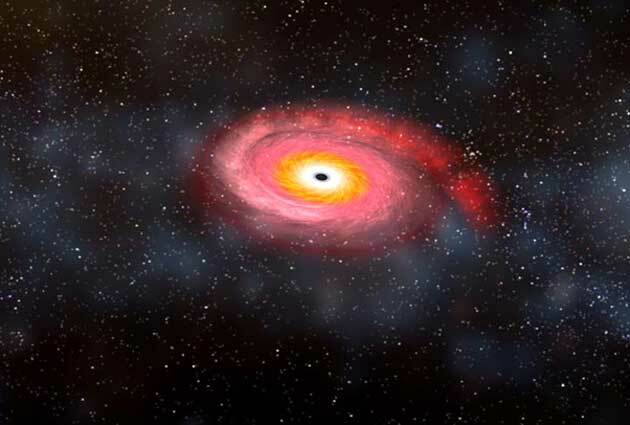 Sagittarius A*, also known as Sgr A*, is reportedly the central feature of the Milky Way galaxy, and a relatively well-studied and the closest black hole to Earth. Astrophysicists began to realize that they would get their chance when they picked up signals from a star called S2. This star, which is located appreciably close to Sgr A*, sends signals in the visible and infra-red signals that reach Earth after 26,000 light-years. Accordingly, S2 sends this data, about its travels in Sagittarius A*’s vicinity, to Earth in the present era. European Space Agency astronomers have been anticipating that S2 will enter the super-powered gravitational field of Sgr A* for 26 years. However, they have only been able to analyze and report on this data very recently. The results are now available in the form of a publication in the journal, Astronomy & Astrophysics. This article describes the second known passage of S2 through the field. But, this time, the scientists’ equipment and techniques were up to the task of conclusively proving that the star’s reactions to this event lined up with the predictions made by Einstein while he was constructing his theory. These findings were captured using the European Space Observatory’s Very Large Telescope. This facility, which is located in Chile, had the instruments necessary to detect and record the peri-infra red signals. This technique confirmed that S2 was passing through Sgr A*’s gravitational field and also proved its behavior while doing so. The report included the SINFONI (Spectrograph for INtegral Field Observations in the Near Infrared) and NACO (Nasmyth Adaptive Optics System (NAOS) and Near-Infrared Imager and Spectrograph (CONICA)) panel of adaptive optics. The scientists also required GRAVITY, second-generation narrow-angle astrometry, and interferometric imaging system, for a precision ascertainment of the environment around Sgr A* at the time. These instruments allowed the scientists to assess gravitational-field ingress on the part of S2 in May 2018. The researchers were, additionally, able to verify that the star underwent a red-shift as it passed through this field. This phenomenon involves the ‘stretching’ of the light from S2 into this wavelength, an effect exerted by the gravitational field around Sgr A* - just as Einstein predicted under the terms of general relativity. The star also exhibited a relative transverse Doppler effect of z ≈ 200 km/s/c. The star’s behavior, as observed in this study, was perfectly in line with conventional physics, thus, truly validating Einstein’s theory for the first time. The scientists, who collaborated on it across institutions in Baltimore, Germany, France, Portugal, and Ireland, reported that their observations were "inconsistent with pure Newtonian dynamics." This was also expected under conditions of the extreme gravitational forces found around Sgr A*. The scientists, led by Reinhard Genzel from the Max Planck Institute for Extraterrestrial Physics in Germany, had been following S2’s journey closer to Sgr A* for 26 years before being able to capture its path into the gravitational field (also known as the pericentral approach), this year. 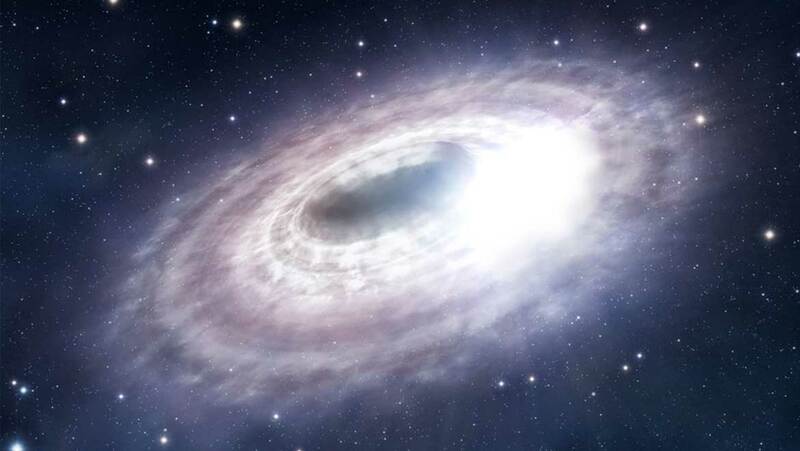 The team suggested that the star spun at a speed of about 7650 km/s, as it approached the pericenter due to the improved optics offered by NACO and SINFONI. This report, therefore, is a valuable justification of the capabilities and applications of the VLT and of the staff who work at and on it. The research implies the telescope’s potential in the follow-up to this study, which mainly includes observing S2’s behavior as it exits Sgr A*’s gravitational field. R. Abuter, et al. (2018) Detection of the gravitational redshift in the orbit of the star S2 near the Galactic centre massive black hole⋆. A&A. 615: pp.L15.